Would you like a higher conversion rate on home care retail sales? Of course you would, stupid question right? The Medico Beauty Institute has the key to unlocking the potential of your advanced skin services and increasing conversion from 40% – 90%! How? By becoming a Medico Beauty Certified Expert and learning the Medico Beauty Method in advanced skin consultation and our unique 7-Point Skin Analysis. These two tools combined with our advanced skin treatments, using Chirally Correct formulations by CosMedix, hold the secret to better conversion on home care retail sales. Knowledge is key to your success! We don’t just teach you how to use the products. We teach you have to get results! It’s not as simple as putting product in therapists hands and expecting to see results. 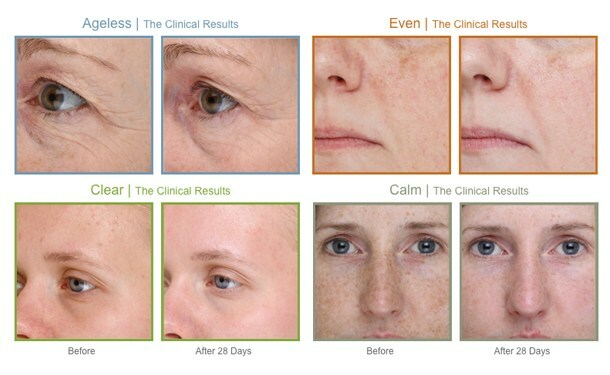 The key to achieving successful results from your skin treatments is the correct diagnosis of the primary skin concern. Only then can you treat the route cause of the problem, rather than simply masking the symptoms with temporary solutions. The Medico Beauty Method teaches you how to perform an in-depth consultation that goes way beyond the basics, including questions about the clients medical history, diet / nutrition, lifestyle and wellbeing to provide a complete picture on all of the contributing factors affecting the health of their skin. Together with our unique 7-Point Skin Analysis, which enables you to look beyond what you can see with your eyes, you are able to piece together the information needed to successfully identify the root cause of the problem. Whilst correct diagnosis holds the key to successfully resolving skin concerns, it is of course only part of the solution. You also need a performance driven treatment system that gives outstanding results. That’s where CosMedix comes in! By using only Chirally Correct formulations, with purified acids and encapsulated Retinol, to treat and change the skin on a molecular level. Trust cannot be bought, it has to be earned! With the correct diagnosis of skin concerns, you will successfully be able to select the treatment solutions for your client in the form a “DermaPlan” programme. This is their ‘prescription’ that forms part of the treatment plan. One of the key reasons your client may have been unsuccessful with results in the past, is that they’ve be ‘sold’ products, not ‘prescribed’ products. The difference is that any sales assistant can ‘sell’ a skin care product but only a skin care professional will have the knowledge to identify root cause and ‘prescribed’ the correct solution. Once your client starts to see the positive changes in their skin, then trust between client and therapist will be earned. Which means they’re more likely to repeat purchase and also refer their friends and family. What is important as therapists to understand is that when working with active ingredients, such as AHA’s and Retinol, is that the skin changes over time. This mean the clients home care needs regular review to ensure they are on the correct programme. The Medico Beauty Method gives you the knowledge needed to review and guide your client through their DermaPlan programme. To learn more and start building a successful advanced skin business with CosMedix and to sign up to training to become a Medico Beauty Institute Certified Expert, contact [email protected]. Alternatively, come and visit us at Professional Beauty Stand S32, on February 22nd-23rd at London ExCel OR the Aesthetics Conference & Exhibition (A.C.E.) Stand 48 on March 7th-8th and meet with one of our Certified Skin Experts to have a consultation and 7-Point Skin Analysis. Connect with us on Facebook and like the Medico Beauty Institute page.